Taylor Door Co. offers a large inventory of the most durable and reliable garage doors Center Line. Coming in a wide variety of colors, materials and styles, Taylor Door Co. is the best place to get the garage door you want at affordable prices. From basic garage doors to specialty and custom orders, we can help you choose the right garage door Center Line to make your home stand out on the street. 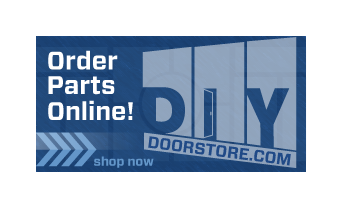 At Taylor Door Co. we carry a large selection of garage doors Center Line to ensure you find the exact make and model to style your home’s exterior. We carry traditional garage door manufacturers including the Taylor Liberty Collection, Clopay Model 44 and Everdoor. We also offer a selection of special garage doors Center Line with designs that can separate the extraordinary from ordinary and turn your driveway into a piece of art. Our Carriage House selections include, Amarr Classica, Oak Summit, Coachman Clopay and Sawmill Creek. When looking for new Garage Doors Center Line, call Taylor Door. We are the garage door company you can trust for all your residential and commercial garage door needs. Get same day service when you call us before 11 a.m. 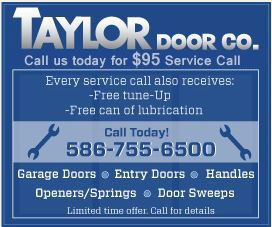 Call 1-800-NEW-DOOR and shop new garage doors at Taylor Door today!